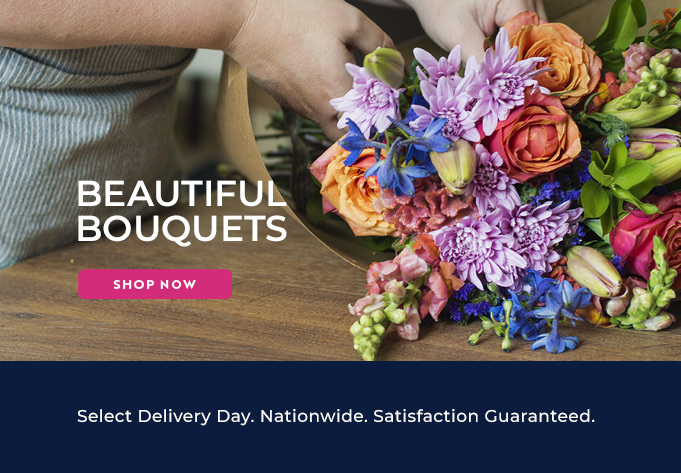 With our delivery service, you can send flowers to friends and family throughout Gauteng with our secure online portal. Our Web site provides flowers for all events. For funerals and other sombre occasions, we suggest beautiful St. Joseph's lilies and pale chrysanthemums. These flowers also work well in baskets sent as an apology or with a card to a recovering patient, wishing them well. Our expert florists in Gauteng will be able to assist with the perfect arrangement. There are, of course, more joyful occasions on which to enjoy our beautiful flowers. Surprise a romantic partner with an arrangement of deep red roses. We also have cheerful birthday baskets featuring Gerbera daisies, Inca lilies, carnations and mixed roses. These carefully-designed arrangements are also perfect for congratulatory wishes for promotions, graduations, engagements and the arrival of new babies. We also have a selection of hampers featuring delicious snacks such as fruit, nuts, nougat and other decadent sweet treats. Wines, bubbly, balloons and cuddly stuffed animals are also available. We at Bloomable (formerly SA Florist) are extremely proud of our relationship with our own experienced florists. We avoid third-parties and middlemen who skimp on flower quality to eke out extra profit. Bloomable (formerly SA Florist) will always ensure your order is prepared with fresh, high-quality flowers – it really is our pleasure to offer great value and superb service. Give Bloomable (formerly SA Florist) a try today – your friends and family in Gauteng will be delighted.